High Speed Internet: Can Your Router Keep Up Anymore? In the area I live, Charter Communications is the cable Internet provider. At the beginning of the year, Charter publicized an increase in standard residential service bandwidth from 30 to 60 Mbps with no increase in price. That was very cool. Then sometime in the summer, they quietly increased the residential bandwidth to 100 Mbps! Again, very cool. Just a few years ago 100 Mbps was an expensive option reserved only for businesses that were willing to shell out for it. Now it is standard speed for home cable Internet users. Speaking of businesses, Charter has also increased their business Internet offerings to include 150 and 200 Mbps options. That’s some fast Internet! However, what I’ve discovered is that many routers in use today can not keep up with these higher speeds. There are two main bottlenecks to be aware of. As most residential and small business routers include wireless networking, that is the first bottleneck I’ll talk about. Many wireless routers still in operation only support a maximum wireless bandwidth of 54 Mbps. That bandwidth decreases as you get further away from the router, so it should be obvious that routers like these will severely hamper wireless users from utilizing their full bandwidth if they are Charter subscribers. It would seem the simple answer would be to buy a newer wireless router that supports higher bandwidths. While that answer is true, this brings up the second bottleneck. 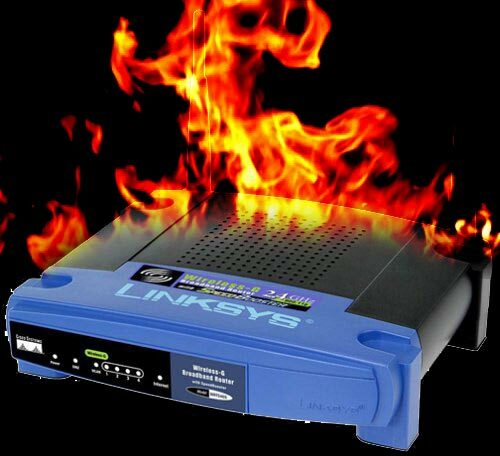 Many routers being sold today only support 100 Mbps on their wired Ethernet ports. Since wireless routers must connect to a cable modem through a wired port, the throughput of the wired port can become another bottleneck. For residential users, 100 Mbps wired Ethernet ports were more than adequate in the beginning of the year when speeds topped out at 30 Mbps or even later in the year at 60 Mbps. Even most business users were probably well-served by a router with 100 Mbps Ethernet. But now with 100 Mbps becoming the baseline for Internet speed, it isn’t enough to buy a router that only has 100 Mbps wired Ethernet ports. It is also important to note that whatever speed a port is rated at, it is a theoretical maximum. So even if you have a router with 100 Mbps ports, most likely you will only see around 90 Mbps of real-world throughput. One confusing issue for would-be router purchasers is that many wireless routers with 100 Mbps Ethernet ports may support faster wireless speeds. So, for example, a router may be advertised as supporting 300 Mbps wireless speeds. However, if its wired ports are only 100 Mbps Ethernet, then the 300 Mbps will throttle down to the 100 Mbps on the wired port to the Internet. Which as I mentioned above, would likely max out at around 90 Mbps in real-world bandwidth. The other confusing aspect is that 100 Mbps Ethernet is called “Fast Ethernet.” It would seem that “fast” would be adequate, right? Of course, as I’ve described so far, 100 Mbps is no longer truly “fast”. The next step up from 100 Mbps Ethernet is 1000 Mbps Ethernet, also known more commonly as “gigabit” Ethernet. This is what users should look for when buying a router to support the new generation of high-speed Internet services. Specifically, buyers should make sure that the Internet (or WAN) port supports gigabit speeds, however it is rare anymore to see a router that supports gigabit on the other ports but not the Internet port. Additionally, I recommend wireless routers that support “simultaneous dual-band” wireless frequencies. This allows the router to simultaneously support older devices that can only use the legacy 2.4 Ghz Wi-Fi band while also allowing newer devices to take full advantage of the more recent 5.8 Ghz Wi-Fi band. Newer wireless routers can support wireless throughputs of up to 450 Mbps, which when combined with a gigabit Ethernet port to the Internet, should allow use of all the bandwidth provided by today’s high speed cable Internet service, even up to 200 Mbps. If you have questions about your Internet speed or the best router to purchase for your needs, please feel free to use my new Question & Answer section of my web site. I have recently replaced many of my clients’ routers and the speed difference has been significant. Do you know what speed your Internet service should be and are you getting all of that speed with your current router?